Sometimes you feel like you get the zoo all to yourself in the winter. 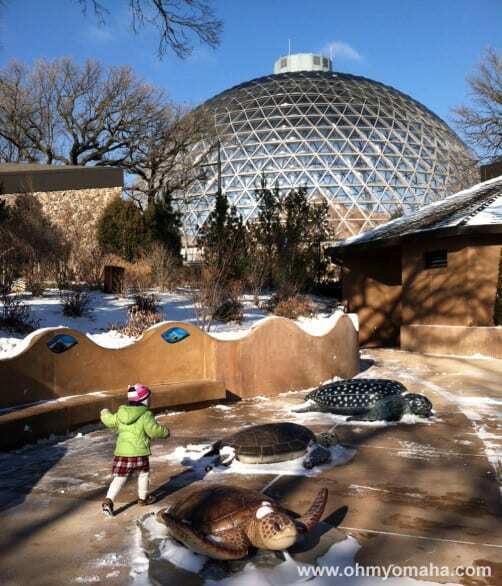 The best time to visit Omaha’s Henry Doorly Zoo & Aquarium is in the winter. Do you really enjoy trudging through the zoo on a 96-degree day in the summer, melting as you carry one of your kids (usually the one with who sweats the most), battling a crowd of people to catch a momentary glimpse of an animal before moving on to the next exhibit to catch an even briefer peek at an animal? No, but you have to do it because your kids love the zoo no matter the season. I love the Omaha zoo this time of year because fewer people want to visit it right now. But, those who bundle up are rewarded with a great zoo experience. It’s peaceful in the off-season, there are no crowds to battle for the best view and the animals are more active. Head for the tropics: An obvious stop is the Lied Rainforest. Pretend you’re somewhere else on a jungle adventure with the kids, especially when you walk through the lower level. When you’re there in the winter, you notice things – like the free-flying bats. Moving on. Tip: There’s a coat rack near the entrance to the restaurant that’s connected to the rain forest. Ditch your heavy coats there before entering the jungle. Turn up the heat: If the humidity of the jungle isn’t your thing (as if your winter hat wasn’t giving you a bad enough hair day), head to the Desert Dome. This place is best viewed when there isn’t a packed line of people snaking through there. Take your time and have your kids count the animals they can spot in each exhibit. Night Crawlers: While you’re at the Desert Dome, you’d better visit the lower level and see all the creatures of the night. It’s extra fun (and mysterious) to explore this exhibit when it feels like your family is the only one down there. On the Waterfront: Sing with me now, “Under the sea/ Under the sea/ Darling it’s better/ Down where it’s wetter/ Take it from me.” Or not. Anyway, now that that song is in your head, let’s talk about why I love, love, love the aquarium in the winter. It’s surreal to walk through there without a horde of people. You hear the New Age-y music piped overhead mixed with sounds of the ocean. And your kids don’t have to fight with 20 others to play on the interactive water projection mat or wait their turn to sit in the bubble by the penguins. 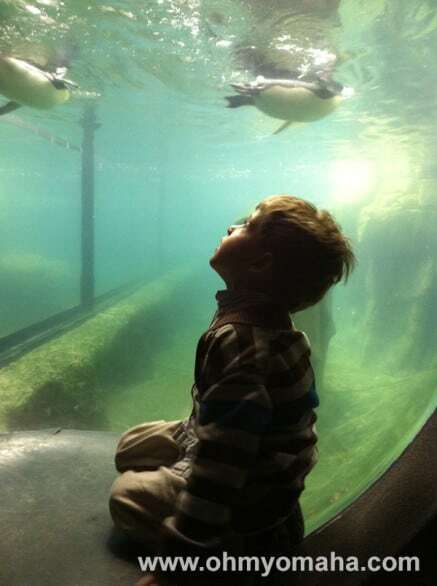 The bubble that juts into the penguin’s tank is a popular one. Visit in the winter and your little guy won’t have to wait too long to get up close. It’s Lemur Time: It’s a bit more of a trek than the other indoor exhibits mentioned above, but the Madagascar building is full of exotic animals to check out. Since it’s a further walk than the others, you can bet fewer people will be there. 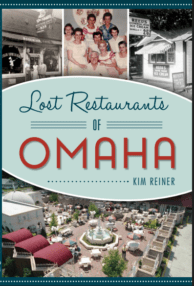 There are a lot of exhibits open in the winter that I didn’t mention – if you’re sticking close to the main entrance, you can check out the Mutual of Omaha Pavilion – and they’re well worth checking out if you want to make the most of your visit. In my opinion, though, the above are the best in the winter. The butterfly pavilion, in the past, didn’t have as many butterflies fluttering about in the winter and the gorrilla building was always a little too cold for my liking. Need healthy eating tips for the zoo? Visit my post Healthy Eating At The Omaha Zoo. 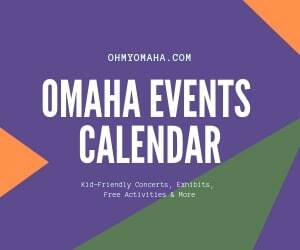 Also check out Free Activities To Do At Omaha’s Zoo.